This gratitude practice is specific for chronic pain sufferers. When pain consumes much of your attention, there often isn’t much space left for gratitude. And if you’re distracted by pain, chances are, you won’t remember to practice gratitude anyway. 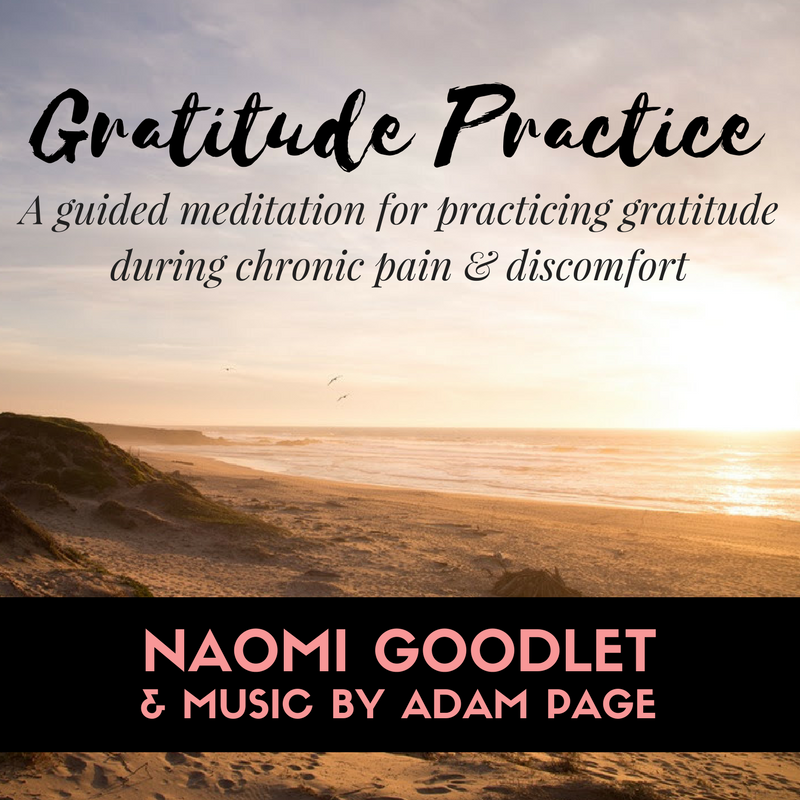 The intention of this track is to remind you that it’s not only possible to feel grateful while pain is present, but it’s an important part of bringing positivity into your life experience. Try it!